This template is A4 size. 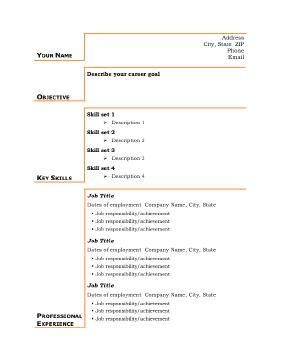 When acquired skills are more important than professional experience, use this distinctively formatted resume template. A sleek red line highlights career objectives and other points.